Here are some of the highlights from the latest Winter Olympics competition in Pyeongchang, South Korea . 1 Mirai Nagasu of the United States performs in the ladies single skating free skating in the Gangneung Ice Arena at the 2018 Winter Olympics in Gangneung, South Korea, Feb. 12, 2018. 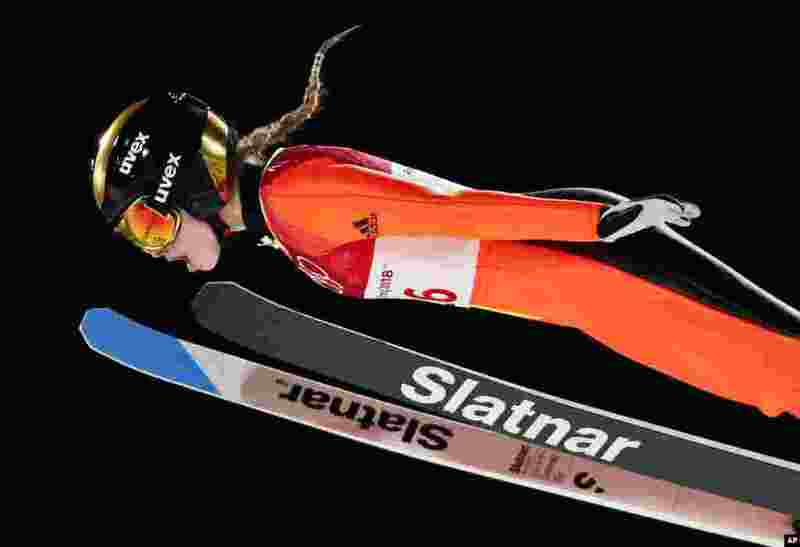 2 Nika Kriznar, of Slovenia, soars through the air during the women's normal hill individual ski jumping competition at the 2018 Winter Olympics in Pyeongchang, South Korea, Feb. 12, 2018. 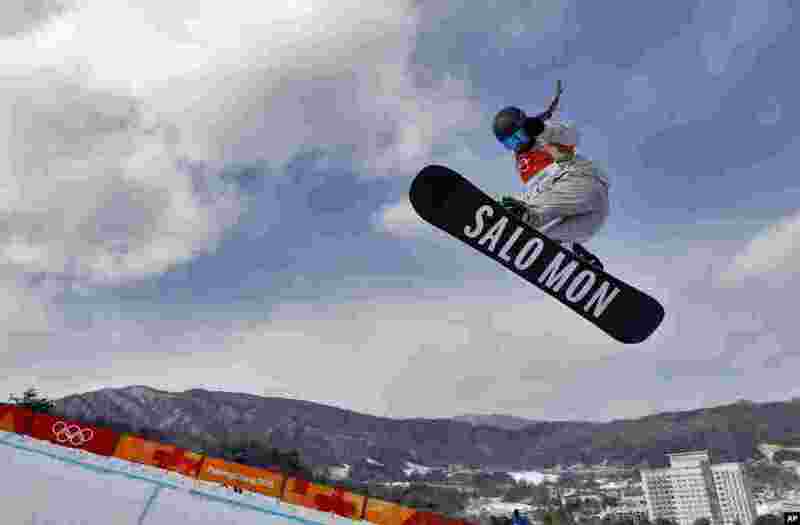 3 Maddie Mastro, of the United States, runs the course during the women's halfpipe qualifying at Phoenix Snow Park at the 2018 Winter Olympics in Pyeongchang, South Korea. 4 In this multiple exposure photo, Andi Langenhan, of Germany, makes his third run during final heats of the men's luge competition the 2018 Winter Olympics in Pyeongchang, South Korea, Feb. 11, 2018.